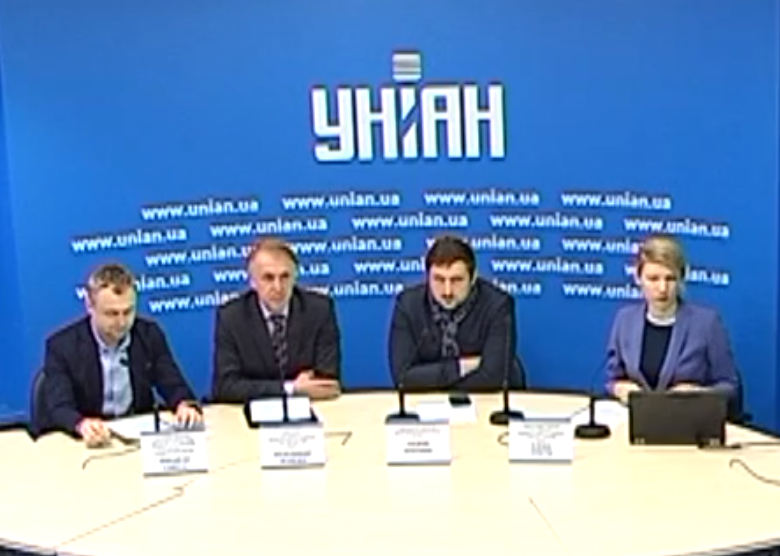 11 in February, UNIAN agency hosted an expert press conference by the Independent Anti-Corruption Committee on Defense (NACO), during which the project was presented "Question to the future president of Ukraine: How to overcome corruption in the security and defense sector?". NACO experts presented a list of questions received by candidates for the presidency of Ukraine, and an online platform where their answers will be made public. During the presentation, the co-chairman of the NAO Volodymyr Ogryzko spoke: Elena Tregub, Secretary General of the National Olympic Committee; Andrey Borovik, Executive Director of Transparency International Ukraine; Mykhailo Samus, Deputy Director of the CIDA on international issues. The policy of regulating the activities of the defense industry remains inconsistent and chaotic. There was no government body responsible for the formation and implementation of defense and industrial policy. Enterprises of all forms of ownership are forced to independently look for ways to solve problems existing in the defense-industrial and military-technical spheres. There is no clear system of technology protection when implementing joint projects with foreign partners. In fact, foreign partners can not be sure that their technologies will not be transferred to third countries. To date, there is no clear system of coordination, management and oversight of the defense industry. The defense industry consists of individual patches. Private enterprises already carry out more than 50% of the state defense order. Ukroboronprom is not an executive body, however, trying to assume a number of functions of a government body and coordinate processes in the defense industry. The government and parliament can not effectively carry out the functions of coordinating and overseeing the defense industry. Such a situation, manual management of the sector leads to the creation of comfortable conditions for corruption. At the same time, the point, separate, sporadic, again, chaotic moves to fight corruption, in my opinion, will not produce any effect. I would like to remind you classical approach to prevent corruption in the security and defense sector, including the defense industry. This approach is called building integrity - education of integrity and integrity of the system. That is, not just honest and full performance of its duties by officials, businessmen, employees, but also integrity of the system. Integrity in this sense means that the system performs its functions, works well and according to the planned parameters. That is why, integrity and integrity are seen as one of the most effective tools for combating corruption. 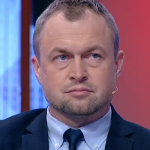 It is because of the absence of a system in the Ukrainian defense industry and the lack of integrity of this system, creating comfortable conditions for corruption. And with this situation, you can fight only systemically. That is, first of all - to create a government body that will be responsible for the implementation of state defense and industrial policy. It is precisely this body that should form a system in which it will be comfortable not for corruptors, but for manufacturers of defense industry, regardless of ownership. And then - to achieve the integrity of the system. That is, building integrity. Briefly recall what is the algorithm for building integrity in the defense industry. - Risk Assessment and Action Plan, Formation of a Complete Legislative Framework, Sufficient Budget Planning, Training and Training on Integrity Education. - Control and supervision. To ensure the success of long-term integrity education, it is necessary to create a supervisory system. It may include internal and external control mechanisms, which include inspectors, monitoring committees, auditors and ombudsmen. An important role in this process belongs to deputies of parliament and government. Civil society and the media should have access to information and the right to control the defense industry. Thus, at this time, it is necessary to demand from the candidates for the President of Ukraine the understanding of the essence of the necessary changes - not the implementation of point steps that will not have any effect in the fight against corruption in the conditions of the unbalanced industry of the defense industry, and the creation of a system and build the integrity of this system with the formation effective oversight procedures. Zaur Mammadov: "The parties to the Karabakh conflict should not be victims of someone's geopolitical ambitions"